Most people that I know, don’t have time to spend hours in the gym each day. They have responsibilities (work, kids, or just life) that prevent them from a marathon session on the elliptical. Yet, these same people need to work out…and burn some serious fat. 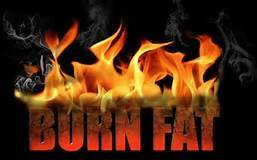 Here are 3 surefire ways to burn fat…FASTER! Time It Right: You can literally get away with doing 30 minutes of cardio 3 times a week, and be a fat-burning machine…if you time it correctly. Do your 30 minutes of cardio first thing in the morning before you eat. Your body is in a fasted state, and will start burning body-fat stores almost immediately. It’s also important to mention that this cardio should not be too intense. You want the sweat rolling, but you should be able to carry on a conversation while you’re doing it (and not be out of breath). So, get out of bed a half hour earlier…and reap the rewards. The Right Combination: Resistance Training can be boring, and tedious (there I said it). But it still needs to be done. Resistance Training stimulates the muscles, and they respond by becoming stronger…and giving your body shape. Push-ups, Planks and Lunges are all examples of Resistance Training. So if you combine those 3 Resistance Training exercises in a circuit (like I do in my Personal Training sessions) you will rev up your metabolism and make your fat cry! It makes your workouts shorter and it’s more effective. Hire A Coach: Let’s be honest for a minute. You probably know what you need to do to get back in shape (eat right and exercise). But why haven’t you done it yet? It may be because you don’t know where to start. Or maybe you don’t have anyone to hold you accountable. I have heard many, many reasons why people haven’t done what they need to. You need someone who can assess where you are at, help you develop a plan, and guide you to the promised land. And that someone is a Personal Trainer. A great Personal Trainer will help you get maximum results in the minimum time! If you are interested in hiring me as your coach, please CONTACT US. Sean Millhouse is the owner of Fitness 101. He has been an Ace-Certified Personal Trainer for over 20 years. Sean has helped thousands of Spring/Klein residents achieve their health and fitness goals.